We employ the “two heads are better than one” theory for your Prescott Golf Club outing! No — we’re not ganging up on you. We’re putting our two best people on your golf outing here at Prescott Golf Club to ensure it’s a smashing success. Experience has taught us a lot about outings. Like – everything! There is a lot to getting a golf outing planned and executed. But if we’re doing our job, all you see is a group of golfers coming on and off the course, people enjoying post-round festivities in the clubhouse, etc. THAT’S WHERE WE COME IN! We take care of the details and the Outing Coordinator gets all the credit! Go ahead, pack your clubs. You won’t have any hand-wringing duties during your event here. So relax. Play in your own tourney! Enjoy the best golf outings in the Ottawa area! Outings have a TON of variables. So literally every outing we do is unique. Not to worry, we can run the various parts in and out like scenery in a Broadway play. Your worries end as soon as you contact us. Whether your event is a fund-raiser or a FUN-raiser. Maybe it’s the once-a-year gathering of your field staff. Might be your class reunion. Or the last bachelor get together for a bunch of guys before a wedding. Whatever the reason, we plug in all the parts you’ll need from us to make it a great event! How many in your party? No problem! We can handle golf outings up to 120 participants. All of our facilities are at your service – from the course (of course) to the range, the clubhouse and the patio. We offer a good golf course at a great value, which leads to a lot of repeat business. 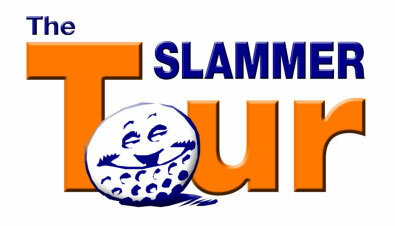 The Slammer Tour is an Executive Golf league that holds tournaments at different clubs. Prescott Golf Club is honored to be the club of choice for their league play several times per year. We do book some groups year after year because we give them consistently excellent service and no-hassle fun year after year after year. A comment from our Facebook page made by one happy leader of a large group who is looking forward to his 40th outing at PGC. Great Time was Had by all. The course was in great shape and a good challenge. The organization of carts and tee offs were flawless. Thanks for hosting us again and hope to see you next year for #40. – Michael T.
So as soon as you have a date in mind – complete the form below then click Send. Our Golfing Coordinator will contact you shortly.